This new born baby was delivered by C-section and doesn't want to leave his mum to get cleaned up. 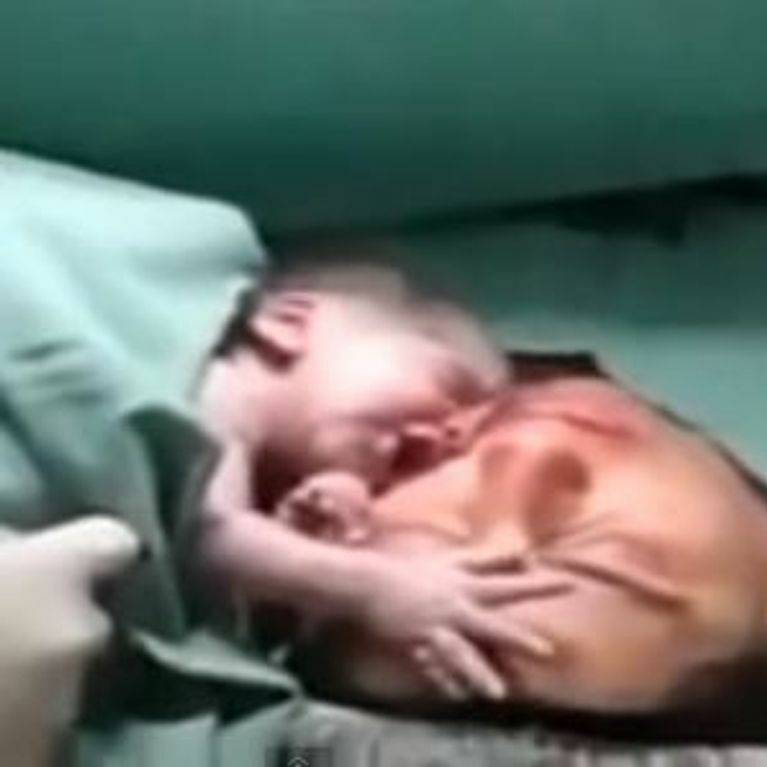 This incredible video shows the special and instant love that a mother and child have. If you're feeling a bit broody, you're probably gonna need some tissues handy. Just saying. This tiny bubba has just been delivered into the world by C-Section, and mother and baby can only meet each other for the first time thanks to the nurse holding the baby up to the mother's face. The little one instantly holds onto their mother's forehead and only stops crying when clamping on tight. As soon as the baby needs to be taken away to get cleaned up and put in a blanket, the baby gets distressed to be separated from his mum, who's clearly exhausted from the birth.